Our red, hop on hop off buses run in Cape Town and Johannesburg seven days a week, 365 days a year, come rain or shine, and arrive at each stop at regular scheduled intervals (with very few exceptions). Guests are encouraged to hop off the bus throughout the tour and explore the surrounding areas. Our open-top tours are a delight for anyone wanting a safe, fun and informative introduction to the city, whether you're a lone traveller to South Africa, a local couple, a mom with two kids or a grandad on a weekend outing with the grandkids. For a preview of what to expect while on the hop on hop off bus, watch this video. We also offer an array of day tours and packages, from full-day guided tours to Cape Point and the Cape Winelands, to harbour cruises and multicultural township experiences. Browse our live-guided day tours to book tickets online and save. We take great pride in providing sightseers with a consistently high-quality and unique travel experience on world-class, state-of-the-art buses. Our fleet is continually upgraded to ensure super-low carbon emissions and compliance with Euro standards for environmental impact. Our buses are equipped with on-board commentary in 15 different languages (English, Afrikaans, Arabic, French, German, Dutch, Italian, Japanese, Mandarin, Portuguese, Russian, Spanish, Swedish, Turkish and Zulu) and a fun channel for kids. We’re environmentally and community conscious, and have been awarded for our efforts to reduce our carbon footprint. We use recyclable material, are fuel-efficient and recycle our waste. We have also made great progress in greening the rest of our business. We have adopted the latest available methods and technology to reduce noise pollution as well as energy and water consumption. We invest in entrepreneurial development by reselling products and souvenirs at our kiosks, like the wire-beaded buses made by local craftsmen. Following an independent carbon audit conducted by Global Carbon Exchange (GCX), a leading strategic sustainability consultancy, we purchased carbon credits from Cape Town-based compost company Reliance to offset our remaining carbon emissions. As a result, we have been officially declared carbon neutral. Care is being taken to advise suppliers and associates of the environmental position of the business. 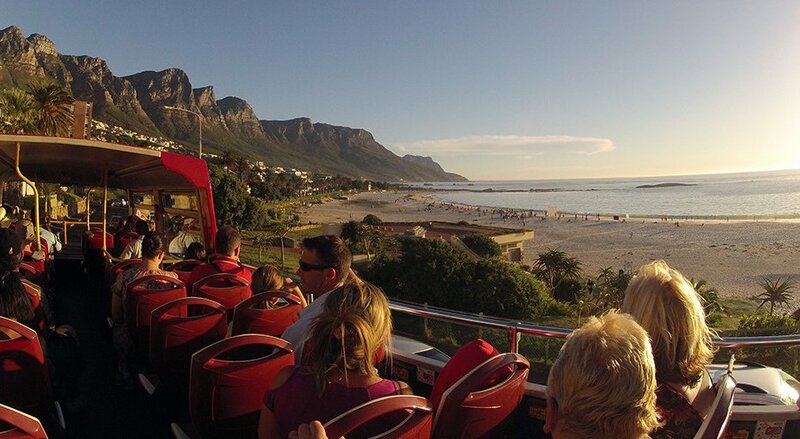 City Sightseeing South Africa has undertaken to improve the environmental, social and economic performance of our business to embrace the concept of sustainability. This is the core value of our corporate environmental responsibility. City Sightseeing South Africa is a proud member of the City Sightseeing Worldwide hop-on, hop-off network, the world’s leading open-top bus tour operator, operating in more than 90 destinations globally.